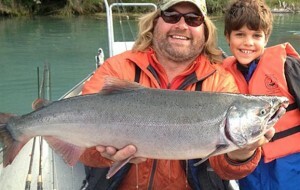 Jason’s Guide Service provides professionally guided fishing trips on the Kenai River for trophy rainbow trout, dolly varden, and sockeye and silver salmon. We fish the Upper Kenai River and Middle Kenai River down to Soldotna. 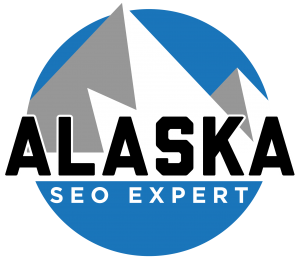 Jason’s Guide Service is permitted through Alaska State Parks, Chugach National Forest, and Kenai National Wildlife Refuge to guide on their lands and waters. 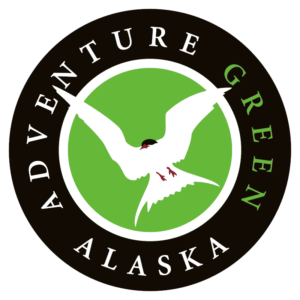 Jason’s Guide Service is one of a handful of guides who is permitted to guide in the Kenai National Wildlife Refuge on the Upper Kenai River. The Upper Kenai River consists of 18 river miles of drift only fishing, this means no motor use in the river, which makes for a magical and quiet fishing trip with no noise pollution from motors. The top 8 miles of the Upper Kenai are managed by Alaska State Parks, and Chugach National Forest, the next 10 miles of river is managed by the Kenai National Wildlife Refuge and has a limited guide entry. The Kenai River is a complex system and the fishery can take many years to comprehend. 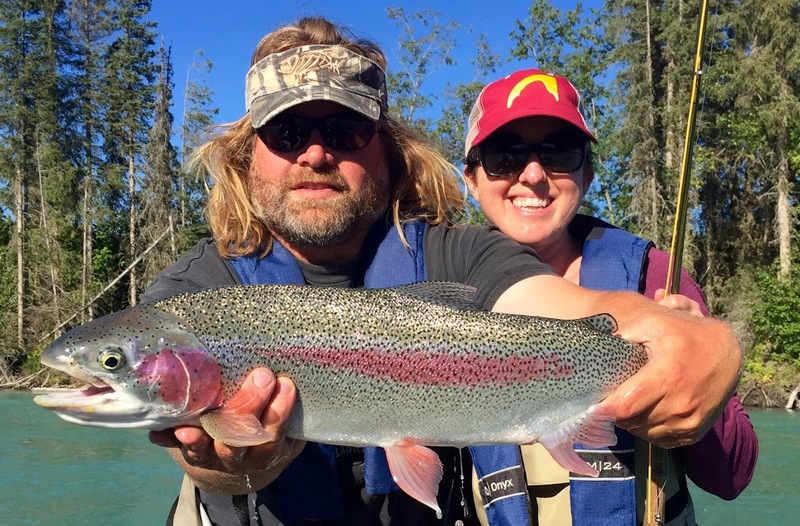 If you’re looking for the top Kenai River fishing guides, Jason Lesmeister, owner of Jason’s Guide Service, is an excellent choice for your fishing experience. The Kenai River in Alaska is the BEST in the world for fly fishing for rainbow trout, and Kenai River fly fishing is best done with a Kenai River guide. Salmon fishing on the Kenai River is also amazing because the salmon runs start in June and run through the end of October. There are many options when it comes to Alaskan fishing adventures, but there are none better than a rainbow trout or salmon fishing adventure with Jason’s Guide Service where the fish don’t start biting until you get there. Jason’s Guide Service’s headquarters are located in Cooper Landing, AK but we fish the entire Kenai River resource from Kenai, Soldotna, Sterling, Skilak Lake, Kenai Lake, and the Cooper Landing area. book a guided fishing trip, and create memories this year. Jason Lesmeister has 26 years of guide experience across the state from the bottom of the Alaska Peninsula to the Brooks Range, with his last 14 years guiding on the Kenai River. After Jason’s first float down the Kenai River in the late 90’s he knew he was hooked on the amazing fishery, in 2006 he took a job as a fishing guide and soon there after bought a home and built a business in Cooper Landing. Guiding anglers down the Kenai River in his custom built drift boat isn’t a job it’s his PASSION! Jason believes his Anglers deserve the best of everything period, that is why he outfits his guests with the Gloomis Rods, Lamson, and Shimano Reels and provides Gore Tex breathable waders for everyone who books a trip. 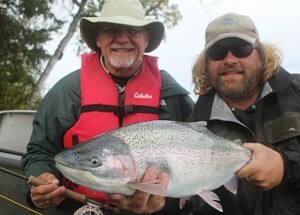 You won’t find another guide on the river with Lesmeister’s passion for fishing and love and respect for the resources. It’s not good enough to be a great fishermen, you have to be able to pass on your knowledge and have the ability to teach others to catch fish. With over 26 years of guiding experience Lesmeister does this with ease and passion, making learning fun and making you want to come back for more. The rainbow trout is appealing to fish for because they readily bite and put up an aggressive fight! 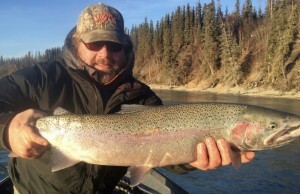 The Kenai River rainbow trout are known for their massive size and plentiful numbers. 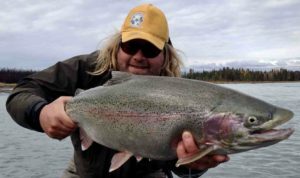 The Kenai River rainbow trout is one of the most sought after fish in Kenai, Alaska and anglers appreciate a fly fishing guide to make their Alaskan fishing adventure complete. Kenai River guides are also well versed in all forms of trout and salmon fishing using every type of rod/reel combination. Red (sockeye) salmon, silver (coho) salmon, and other salmon species are all migrating up the Kenai River in Alaska at certain periods during the season. 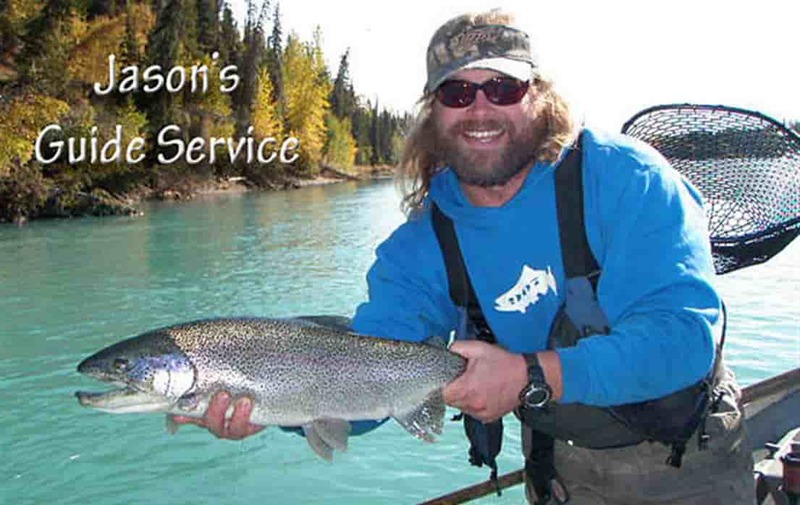 Find out when the “run” is on for salmon fishing or when the Kenai rainbow trout are biting and book an Alaskan fishing trip with Jason’s Guide Service. All gear is provided for anglers to catch some of the hardest fighting and best eating fish that live in Alaska. While many fish make the run up the river to spawn, it takes a certain skill to locate the perfect spot and use the right technique to ensure success.